The Cubs have already done a lot of their “heavy lifting” in the offseason. Their biggest glaring need was pitching in both their starting staff and in the bullpen. The Cubs knew that going into the offseason that they would need to replace John Lackey and Jake Arrieta in the rotation to go along with Wade Davis in the bullpen. The Cubs have already filled one of the rotation spots with the 3 year deal that they signed with Tyler Chatwood earlier in the offseason. At the time being, lefty Mike Montgomery would be the fifth starter if today was Opening Day, but the Cubs are expected to add another starting pitcher before they open their season in Miami. With the additions of Brandon Morrow and Steve Cishek along with re-signing Brian Duensing, the Cubs bullpen appears to be set to go. However, there has been one thing that has been overlooked. And that is the backup catcher role. 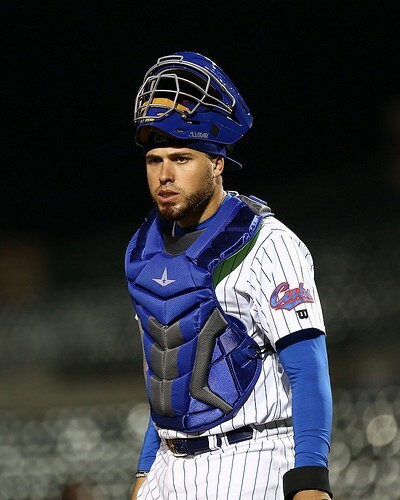 Many people tend to think that the backup catcher position shouldn’t matter much to the Cubs being that they have the best young catcher in the game in Willson Contreras, who will get the majority of the playing time. So why should this be such a big deal? The first reason is obvious and that is in case of a potential injury. Catching is the toughest position in baseball and is by far the most demanding position on the diamond. The wear and tear on a player’s body in one season of catching is remarkable and is the one position where you are most vulnerable to get hurt on every pitch. It is important for any contending team like the Cubs to have a dependable backup in case Willson Contreras goes down with an injury. 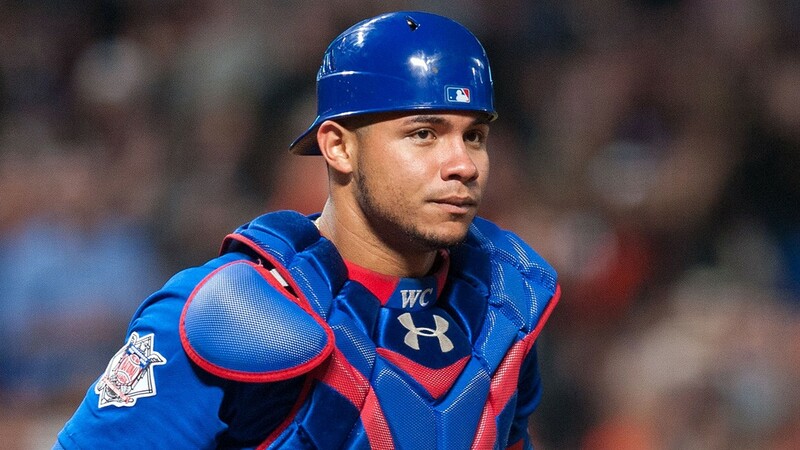 If Contreras were to suffer a serious injury that causes him to miss an extensive amount of time, it would be useful for the Cubs to have a solid backup to hold down the fort until the front office could bring in another catcher. The next reason is youth for two reasons. For as good as Willson Contreras is, he is still incredibly young and is still learning (at a great rate of speed might I add) his way around handling a pitching staff as a starting catcher. Willson showed the ability to do that in 2017 but the development doesn’t just stop there. A veteran would give Contreras someone to go to and bounce ideas or questions off of when it comes to certain situations. Having a veteran would help the development process of Willson Contreras while having a stable backup in there on days where Contreras needs a day off. The other reason for youth is Victor Caratini, the #10 catching prospect according to MLB.com. Caratini got a lot of praise by his teammates by the way that he handled himself but he has even more youth than Willson Contreras. At the current moment, Caratini would be the most likely candidate to win the backup job. Theo and Jed have stated that they are comfortable with the possibility of Victor Caratini being the backup catcher but I’m sure Theo and Jed feel that a veteran backup would be a very useful piece to have in a World Series contending puzzle. It would also benefit the Cubs and Caratini if he was playing every day in AAA as opposed to once or twice a week in the big leagues. The Cubs have benefited greatly from having solid veteran backup catchers the last few seasons in the likes of David Ross, Miguel Montero (kinda), and Alex Avila and that could be the route that they ultimately choose to go. The Cubs have alreaded signed Chris Gimenez to a minor league deal as a potential option to be the backup and/or lure FA starter Yu Darvish to Chicago. There are also a few other backup catchers still out there in Avila, Montero, AJ Ellis, Nick Hundley, and Jose Lobaton. Though it is unlikely that the Cubs would reunite with Montero after their falling out midway through the season, Avila or one of the others mentioned would be very capable backups for Willson Contreras. The bottom line for the Cubs is that they are in win-now mode so they have to do whatever it is that gives them the best chance to win. If that means going with a rookie backup catcher then so be it. If it means a veteran they bring in via free agency then so be it. Only time will tell what Theo and Jed have in mind, but until then, the Cubs catching situation is one to keep an eye on as the offseason unfolds.